Every day, there are 170 deaths due to opioid overdose, according to a study by the National Academy of Medicine. Since 1999, the number of opioid-related deaths — from both prescription opioids and illegal drugs including heroin, fentanyl, and carfentanil — has quadrupled. In 2016, there were more than 4,600 deaths due to opioid overdose in Florida, up 67% from the prior year. Florida is ranked 13th in the nation for overdose deaths. Starting Point Behavioral Healthcare is hosting a Community Conversation to discuss the opioid epidemic in Northeast Florida at 5:30 p.m. on Monday, October 22, at the Peck Auditorium in Fernandina Beach. With a straightforward and open discussion by experts and a recovering opioid user, “Opioid Addiction: The Inside Story” will tackle the issue with facts and compelling personal stories. Their presentations will be followed by open discussion among those attending. The event will include a robust discussion of the causes and treatment of opioid addiction, including Medication Assisted Recovery programs, and the use of NARCAN by emergency personnel. The personal story of one local woman who defeated her addiction to opioids will provide a candid look at how addiction can affect someone’s life. Addiction and overdose not only destroy individual lives, but erode the health and prosperity of entire families and communities. 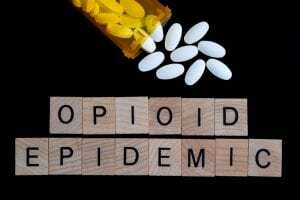 The economic toll is significant; according to the President’s Council of Economic Advisers, the opioid crisis cost $504 billion in 2015, or 2.8 percent of gross domestic product. But with the improved availability of drugs like NARCAN, emergency providers are able to rescue many who might otherwise have died from an overdose. Recovery from opioid addiction is possible, especially with Medication Assisted Treatment programs like those available at Starting Point. 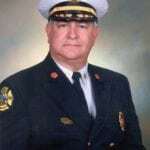 Mr. Montes de Oca is a former firefighter, paramedic, fire chief and executive emergency services professional who has served communities in Florida, Ohio and North Carolina. he is a subject matter expert in safety and security with forty years experience in fire and emergency management, pre-hospital medical services, and disaster planning and response. Currently, he develops and delivers training programs for fire and public safety responders throughout the United States as a recognized instructor for the National Fire Academy, Federal Emergency Management Institute, US Environmental Protection Agency and the US Occupational Safety and Health Administration. Anna Miller, who also goes by Tina, is a team leader at Starting Point, where she has been for more than four years. She oversees many programs, including Mental Health Court, Marchman Court, Child Welfare, jail services, and the Medication Assisted Treatment Program. 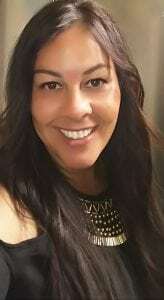 Tina has over 15 years experience and holds a license in both Florida and Georgia. She is a Certified Master’s level Addiction Professional and is a nationally-certified counselor with the National Board for Certified Counselors. She is a member of the American Counseling Association. Tina holds a Master’s Degree in Criminal Justice as well as a Master’s degree in Mental Health Counseling. The event begins at 5:30 p.m. at The Peck Auditorium, 516 South 10th Street in Fernandina Beach. The program is free and open to the public, but registration is requested. To register for Opioid Addiction: The Inside Story, A Community Conversation, please Email dforbes@spbh.org or call 904.225.8280, ext. 428. Starting Point Behavioral Health provides mental health and substance abuse treatment services to children, teens and adults in Northeast Florida and Southeast Georgia. The non-profit agency serves more than 2,800 individuals each year and has been serving the region for over 25 years.